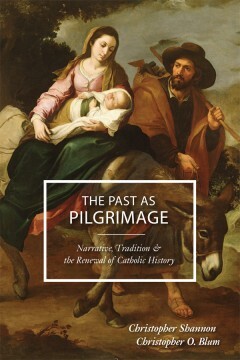 In The Past as Pilgrimage: Narrative, Tradition, and the Renewal of Catholic History, Catholic historians Shannon and Blum challenge the secular bias currently prevalent among professional historians, and argue for the compatibility of faith and reason in the study of the past. Inspired by the understanding of tradition developed in the work of philosopher Alasdair MacIntyre, the authors first critically examine both the internal contradictions and the enduring faith commitments of secular objectivity, then proceed to explore various traditions of Catholic historical thinking capable of synthesizing the technical advances of modern history with distinctly Catholic historical narratives. Their argument seeks to foster a conversation about the ways in which Catholic historians can integrate their faith traditions into their professional work while still remaining open to and engaged with the best of contemporary, non-Catholic thinking and writing about history. — Rev. James L. Heft, S.M.